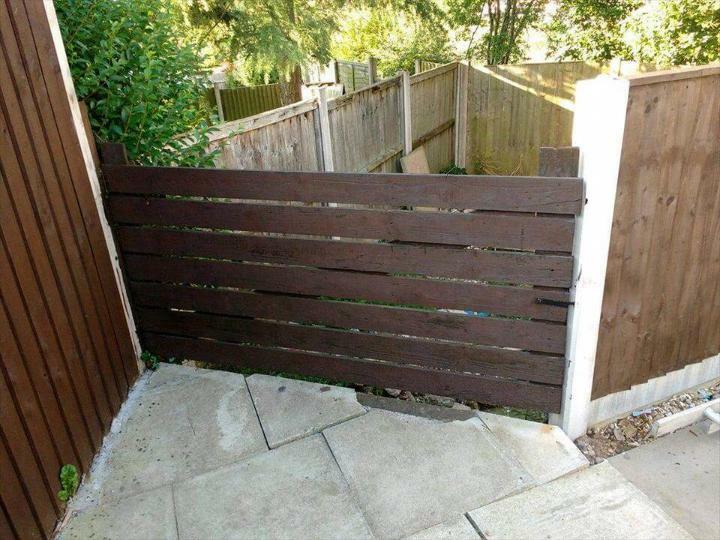 Every time we think about the security of our garden we think about the fencing and custom gates to prevent the unexpected entries! Do you really want to boost your garden security? Here is a low-cost DIY pallet garden gate comes with a single door which spins smoothly due to better hardware used! 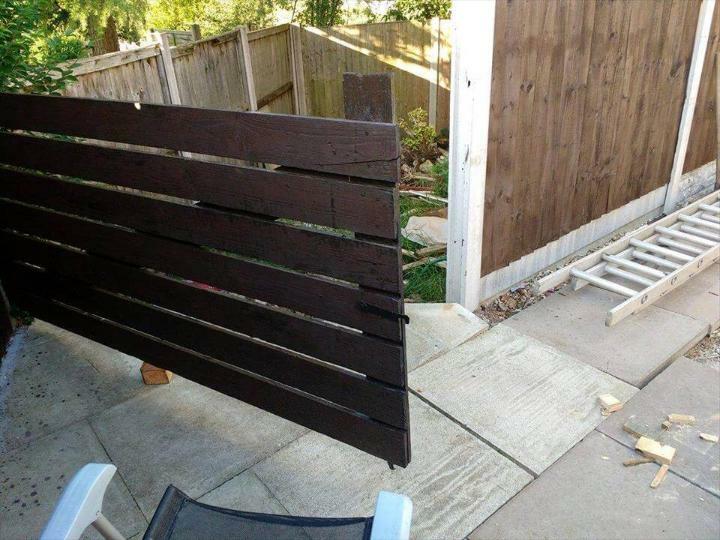 To build this wooden gate is really going to be easy, single or separated lengths of pallets will be the major supply material here! First step would be to dismantle some pallet boards, get the right tools like hammer, nail removing bar and a pry bar to feel handy while deconstructing the pallets! First decide the dimensions of your gate and resize the separated lengths according to figured out values! Spread the straight and equally resized slats of pallets over the floor and add back supports to them, will tie them all as one unit which would be of our gate! 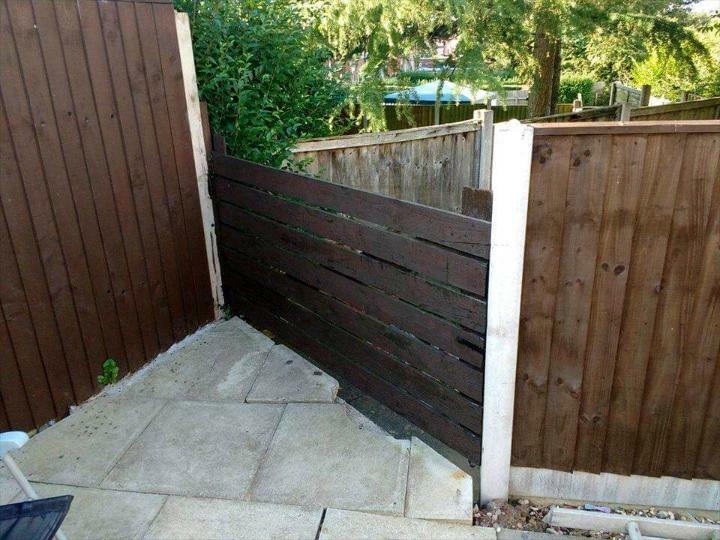 You can add longer screws to hold in place each two joining planks so the gate will not lose its shape! Finish your completed gate with custom paint colors or stain coats that will keep it look younger for years to come!